To stay ahead of your competition and positively influence the most people possible, it may require a change in thinking, a mobile first philosophy. Web designers are now able to focus on the user’s experience, enabling innovation in ways previously out of reach. With this change in thinking, it’s not just the idea of building a web page any more. It is building a network of content that can be arranged and displayed to show it off in the best possible way. 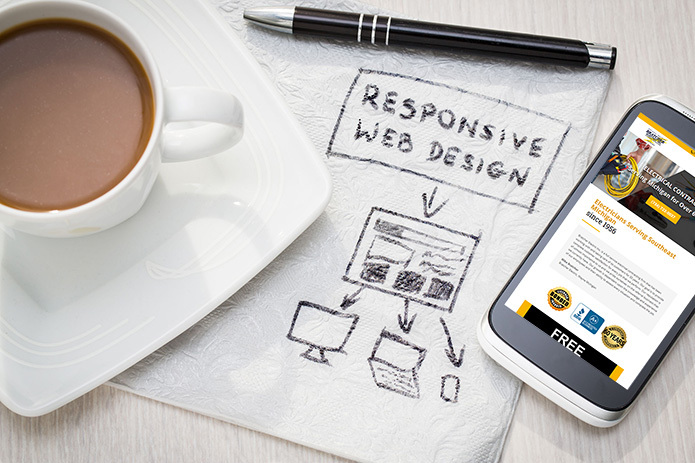 Web design must begin with the mobile device (responsive design) and its user. It focuses on any constraints with that and prioritizes the user experience to deliver a positive result. We live in a world that demands instant information, instant gratification too. Whatever knowledge is yearned for, it is searched for. Mobile devices are more cost effective and abundant. This will only increase. Today, a mobile search may be more of the type for times and locations. This can be accomplished during a traffic red light, generally under a minute. Passengers often do that seeking with a bit more time to lend. Utilizing mobile devices will evolve into more advanced searches. For a vast majority of people, it already has based on their work and life style. This is especially true for commuters on public transit. They have that time to be more thorough in using their device to explore and dwell into more extensive data gathering. It is prevalent with most people’s wait time in any given situation. Look around, people are always on their phones. This is what responsive web design (RWD) is all about. It is an approach to web design where web pages render well on a variety of devices, windows, or screen sizes. Quality content, design, and performance are necessary across all devices to give usability and satisfaction. Sites designed with RWD adapt any layout to the viewing environment using fluid, proportion-based grids, and flexible images. It has gone from the desktop toward the smaller screens and mobile devices. The focus with really tapping into the future is designing with responsive thinking, that mobile device first and proceeding from there. Our Web Development Company in Livonia is a Michigan SEO, and website design agency. We provide services to surrounding businesses near Livonia, Novi, West Bloomfield, Farmington Hills, Northville and beyond. In addition to digital marketing services, we are experienced in search engine optimization, Google Ads (PPC Marketing), local search marketing, and more! Contact Web Fox Marketing today, and let’s get started with your online marketing campaign! On a final note, as you may have guessed, Google has awesome resources highlighting web design best practices. The following video produced by Google, watch here: Is there an SEO disadvantage to using responsive design instead of separate mobile URLs?